The Yu-Gi-Oh! TRADING CARD GAME Golden Duelist Collection Duelist Portfolio has a special glittering foil that is unique to the Yu-Gi-Oh! TRADING CARD GAME Golden Duelist Collection and matches the other accessories. 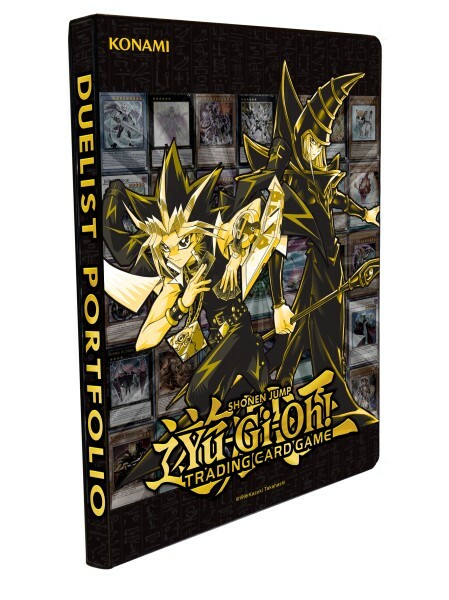 Each Duelist Portfolio includes 10-pages with 9 pockets per page, allowing you to display up to a total of 180 cards! Built with a side loading design, you will also get an extra layer of protection for your cards. There‘s no better way to show off your collection!